Hello all! We are writing Fall fashion article again. Today’s theme is about flowers! Girls, if you like floral print, don’t miss out! Read below for 10 chic and stylish floral fashion items. These are wonderful fall fashion outfits in floral design. The price starts from below $5. There are some really good deals. Scroll down to discover more! 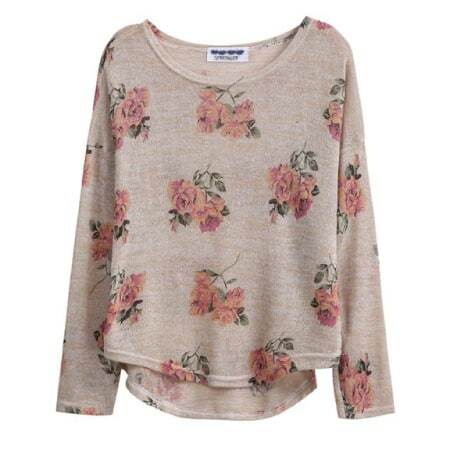 Comfy rose print knitwear great for layering in chilly Fall days. In wash-out apricot color. Price under $20. 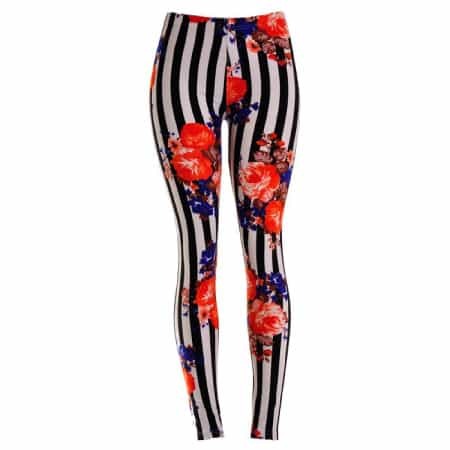 If you like vintage clothing, you must get this leggings! It is cheap at below $10. Black and white stripes with flower prints. Looks unique with retro feel. 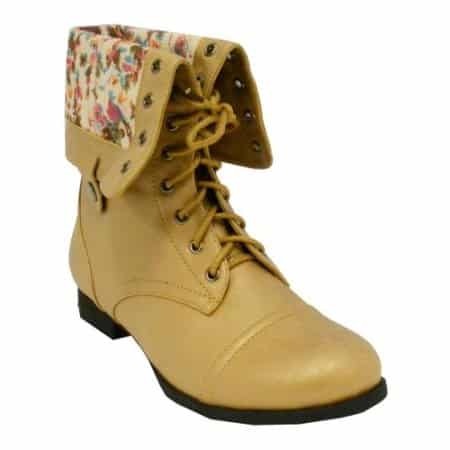 This combat boots will definitely make you looks cool. Soft leather in golden brown. Foldover for contrasting floral pattern. This is another piece that we love. 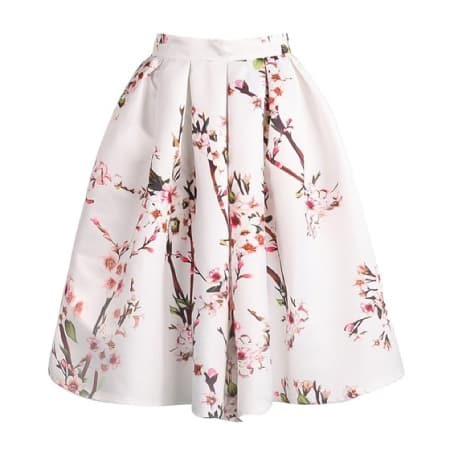 A beautiful skirt with lovely cherry blossom print. This piece runs small. Remember to get a size up! Sneakers in oxford style by Keds. 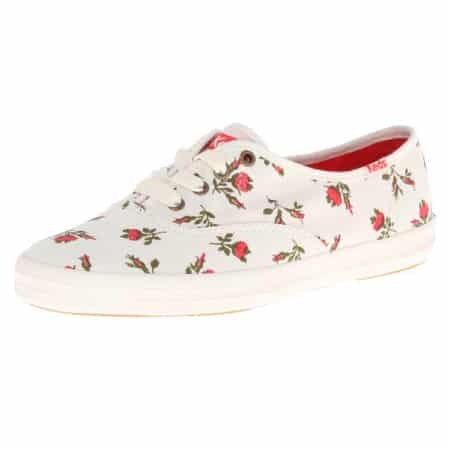 This pair looks cute with multiple red roses. It is made of canvas. Light-weight and comfortable to wear. Also available in black and mustard yellow. 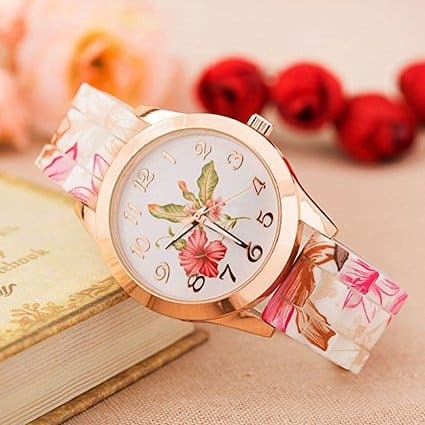 This pretty watch is a must-get if you like to switch watch everyday. Vintagey pink floral design. Awesome price at $4.99. Beautiful pressed flower jewelry is chic Fall style. 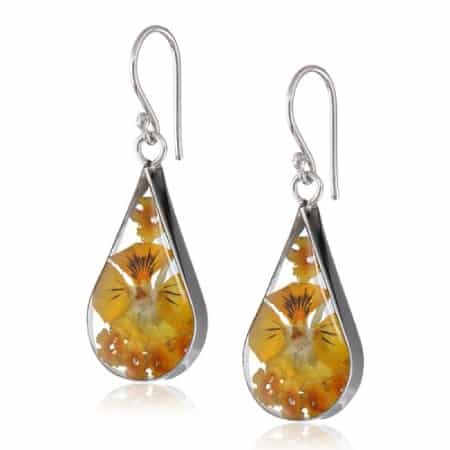 This orange flower earrings are well loved by many girls. 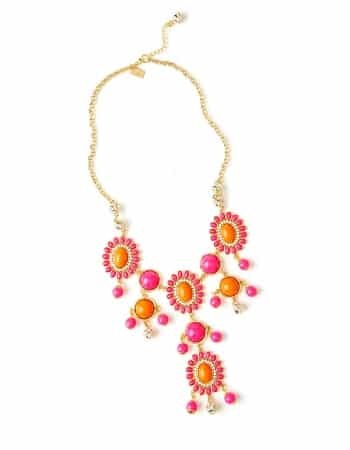 Gorgeous statement necklace by Lilly Pulitzer. Colorful and fun. Match well with Fall outfits. If you like floral clothing, this British designer brand might looks familiar to you. 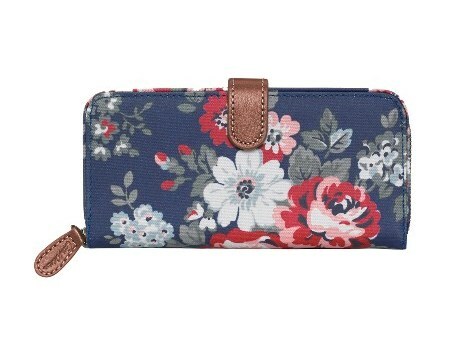 We love this classic rose print wallet by Cath Kidston. Roomy compartments with multiple card slots. A classy wallet for ladies. 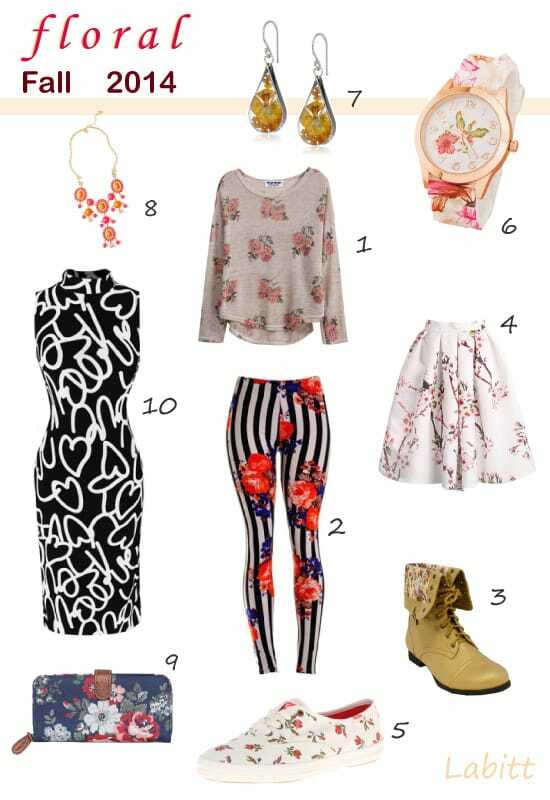 Ladies, what do you think about the above 10 floral outfits for Fall 2014? Aren’t they lovely? Tell us what you think!